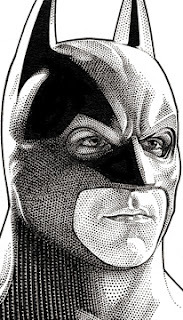 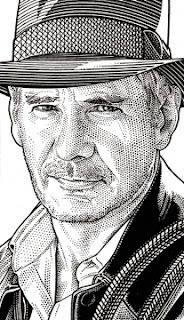 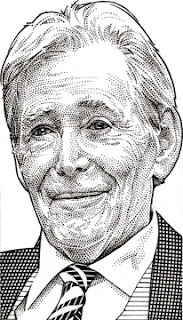 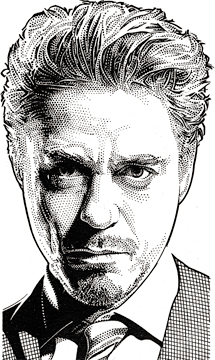 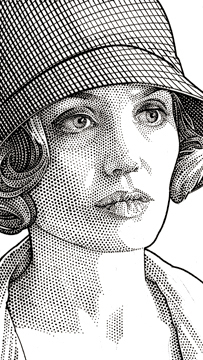 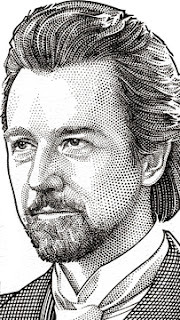 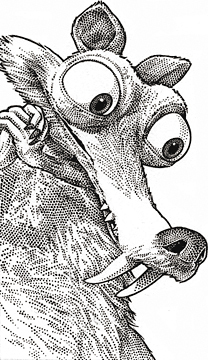 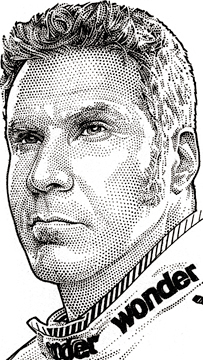 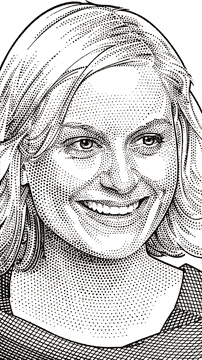 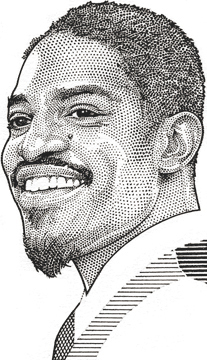 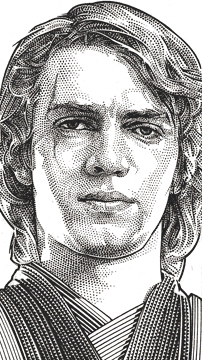 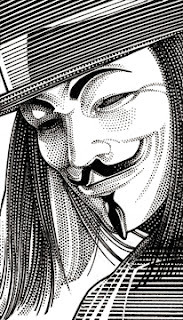 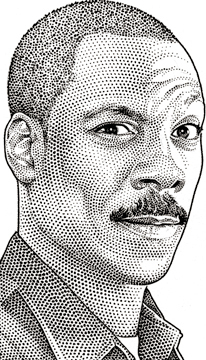 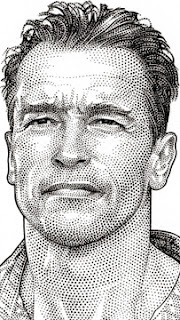 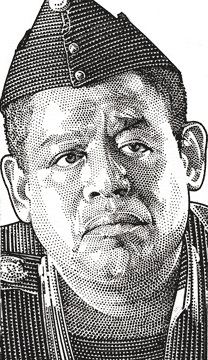 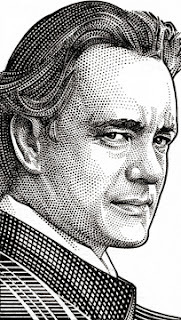 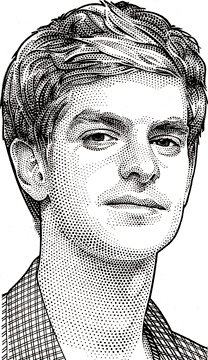 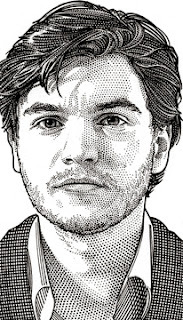 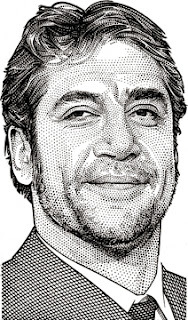 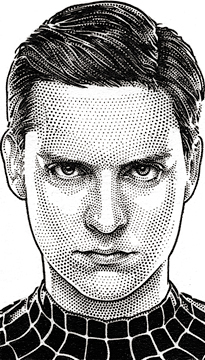 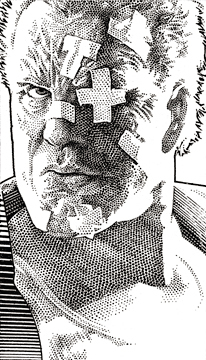 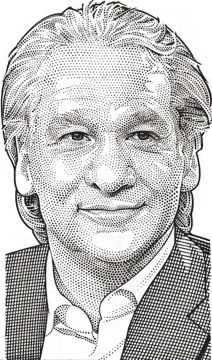 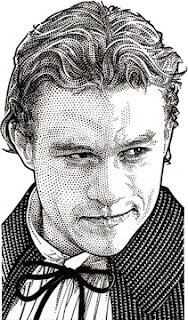 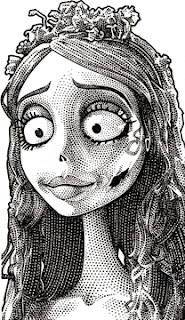 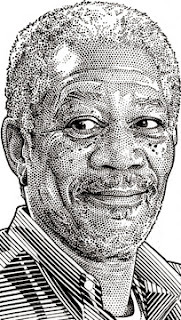 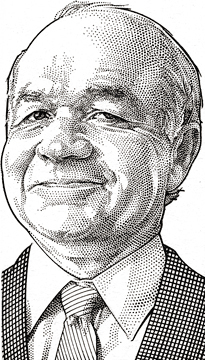 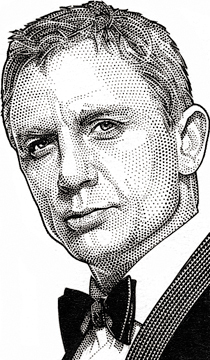 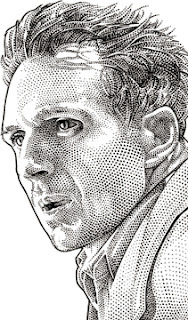 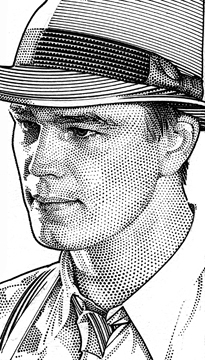 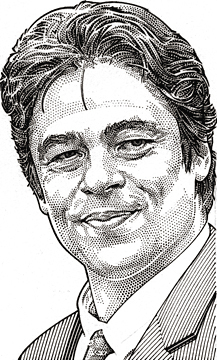 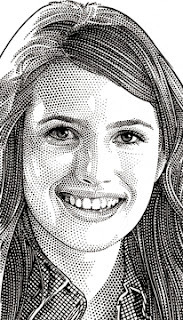 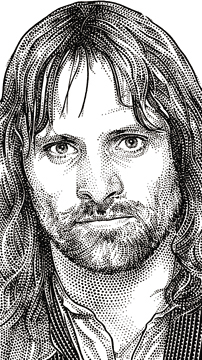 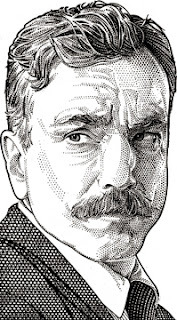 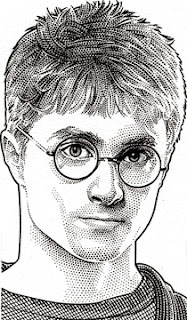 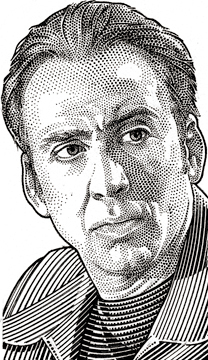 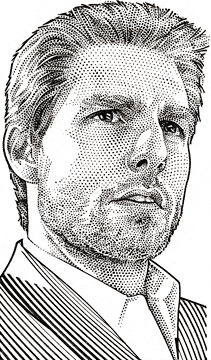 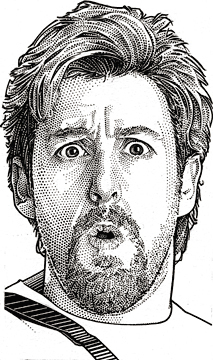 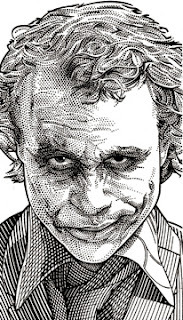 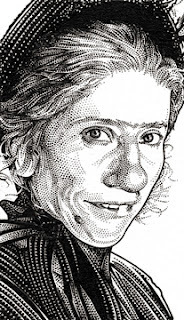 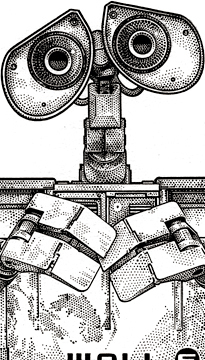 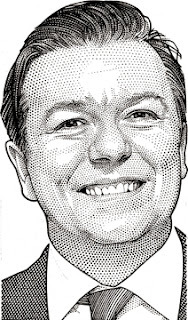 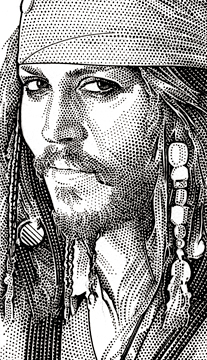 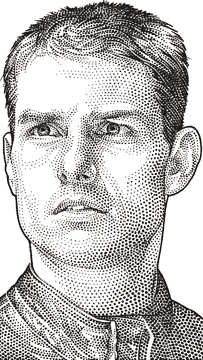 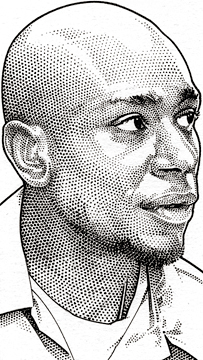 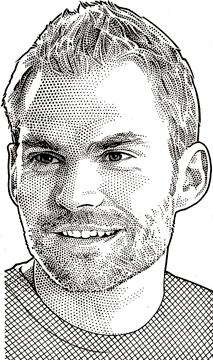 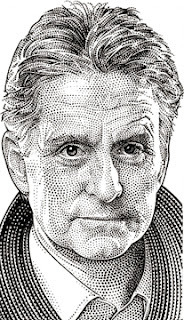 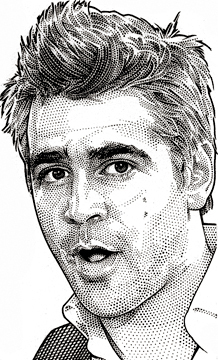 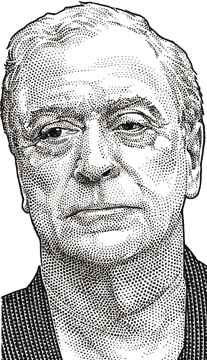 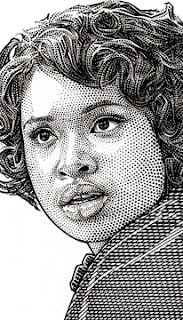 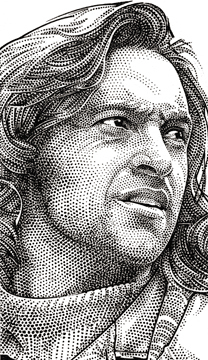 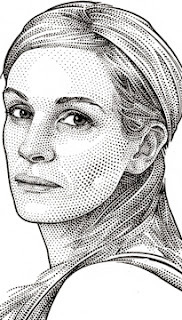 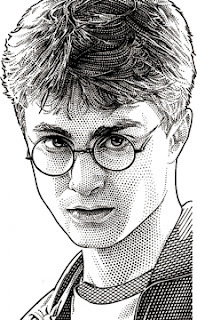 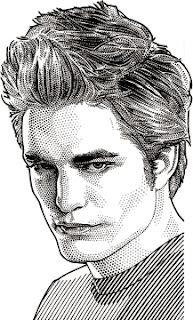 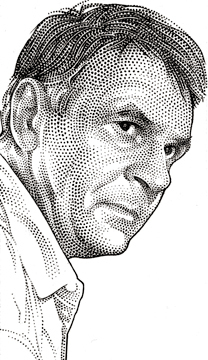 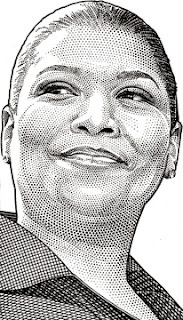 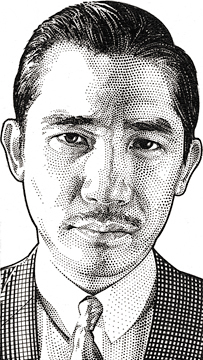 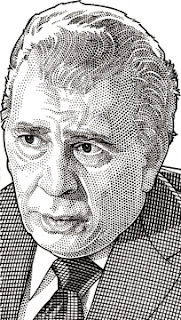 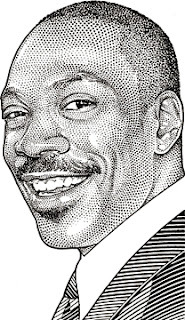 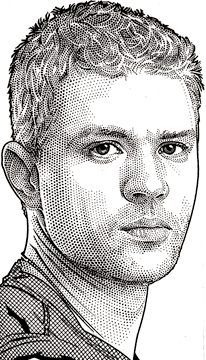 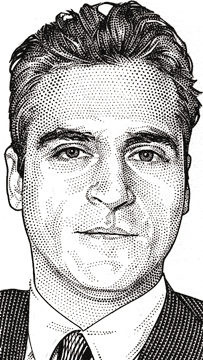 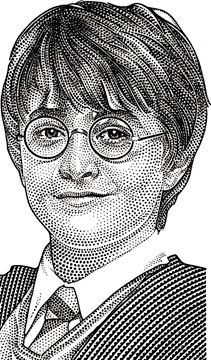 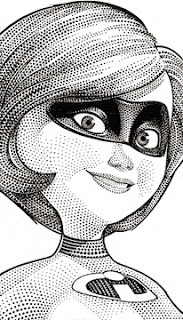 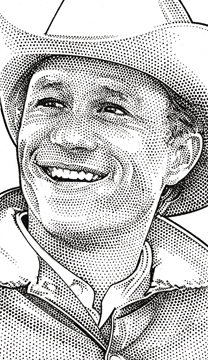 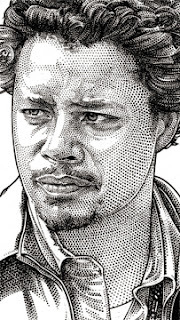 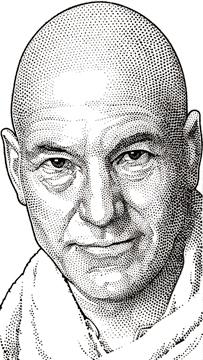 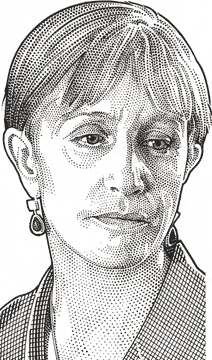 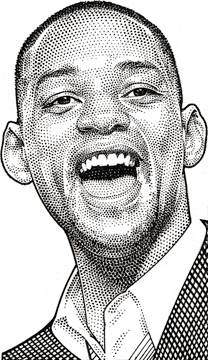 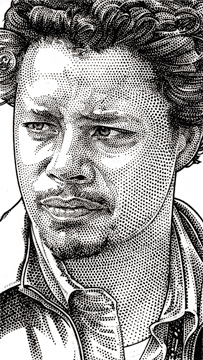 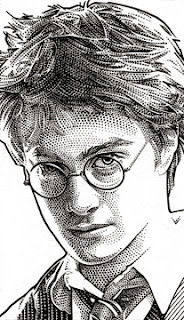 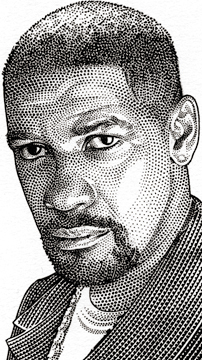 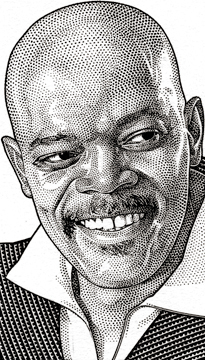 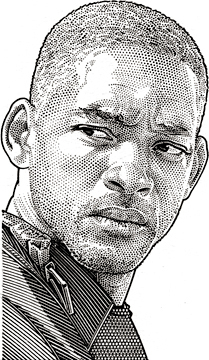 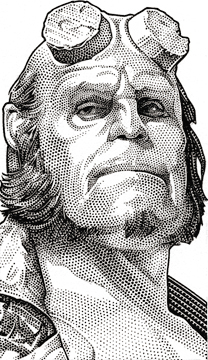 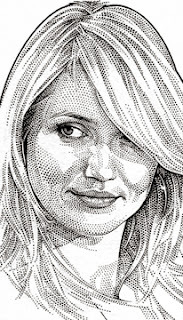 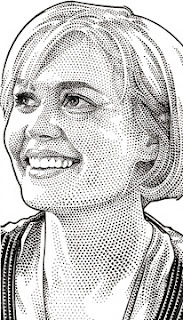 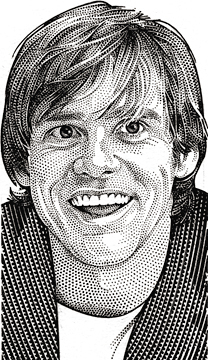 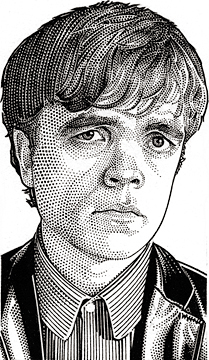 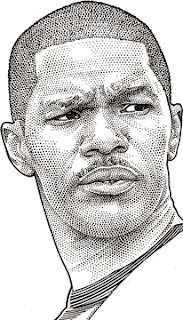 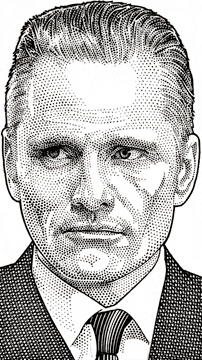 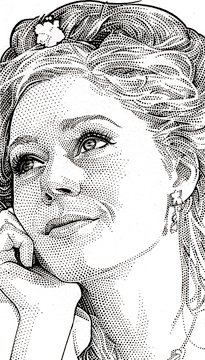 Hedcut is a term referring to a style of portraiture most often associated with The Wall Street Journal. 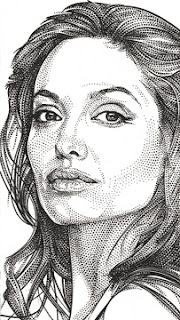 These iconic drawings use a variation of the traditional stipple method of many small dots of varied sizes in conjunction with minimal line. They are designed to emulate the look of woodcuts from old-style newspapers and engravings on certificates and currency. The phonetic spelling of "hed" comes from newspapers use of that term for "headline". 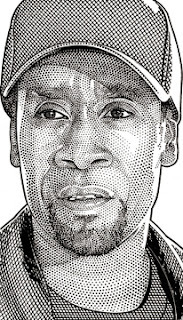 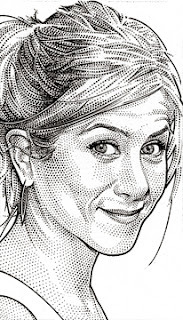 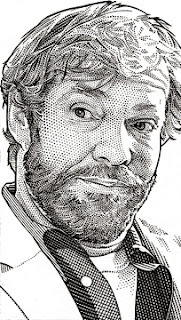 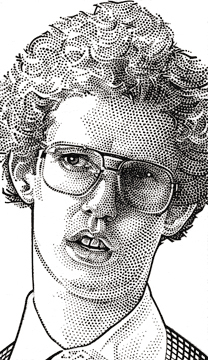 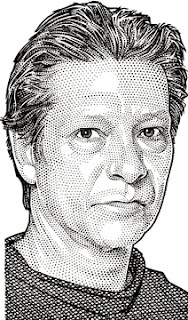 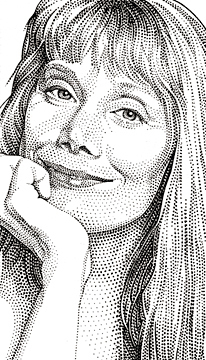 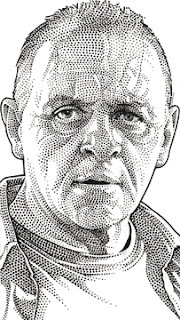 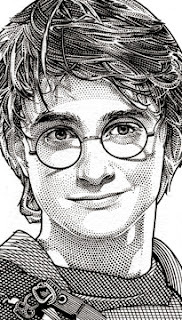 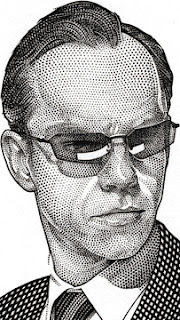 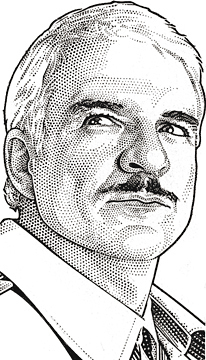 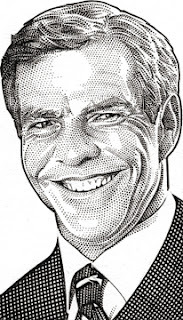 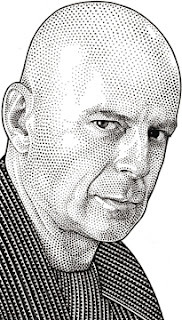 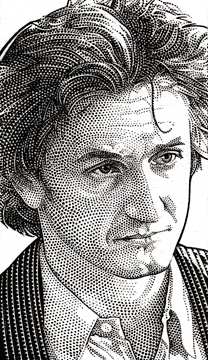 Randy began creating hedcuts for the WSJ on a freelance basis in 1998, and his celebrity renderings have appeared "above the fold" on the front page of the Journal's most widely read section, "The Weekend Journal" since 2000. 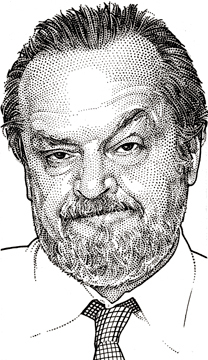 These portraits have accompanied Joe Morgenstern's weekly "Film Review" column which was awarded a Pulitzer Prize in 2005. 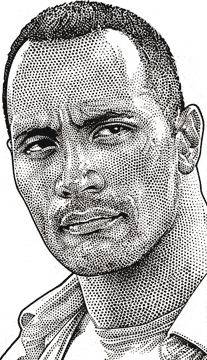 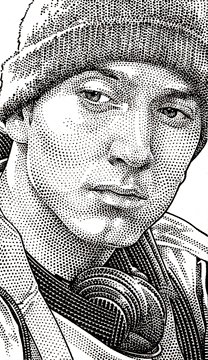 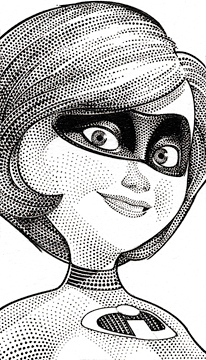 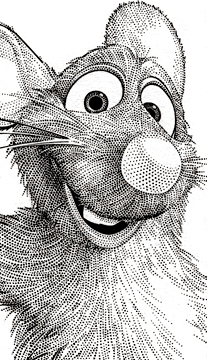 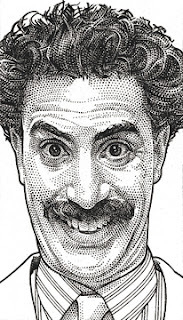 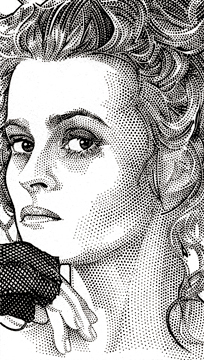 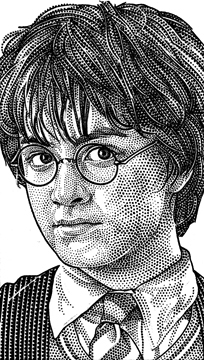 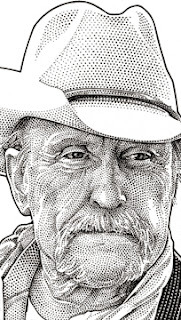 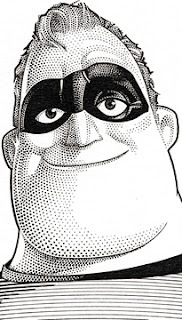 Randy's Wall Street Journal hedcuts have caught the attention of the entertainment industry through a number of notable gallery exhibits, and many of the original pen & ink drawings are privately owned by his celebrity subjects.